IN AN UNMARKED BUILDING on a quiet side street just off the beach in Venice, California, 26-year-old Snapchat CEO Evan Spiegel stands in a small conference room. He’s draped a towel over a mysterious object sitting on a table. He is eager to the point of jitters. Why make this product, with its attendant risks, and why now? “Because it’s fun,” he says with another laugh. This looseness, this sense of confident experimentation, seems to encapsulate one aspect of Snapchat’s startling success. Then there’s another side: Spiegel’s eye on what’s coming down the pike. 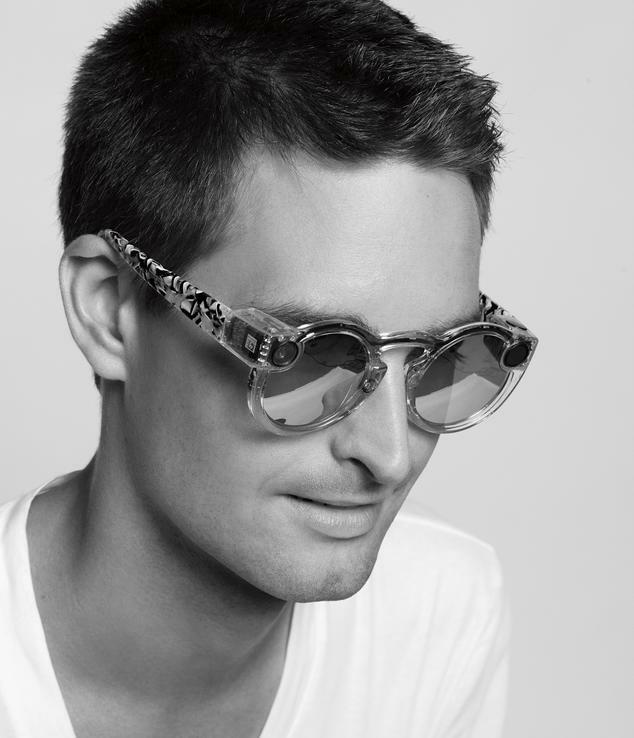 Spectacles will allow Snap Inc. to at last control a physical camera, instead of making the app a slave to your smartphone’s built-in lens. He hints that there could be far-reaching implications if Snapchat can seize the means of image production. It’s not mere fun, it turns out. There are commerce gears clicking beneath the frivolous exterior of these glasses.